A weekly circle to cater for South London youth, with practical topics. 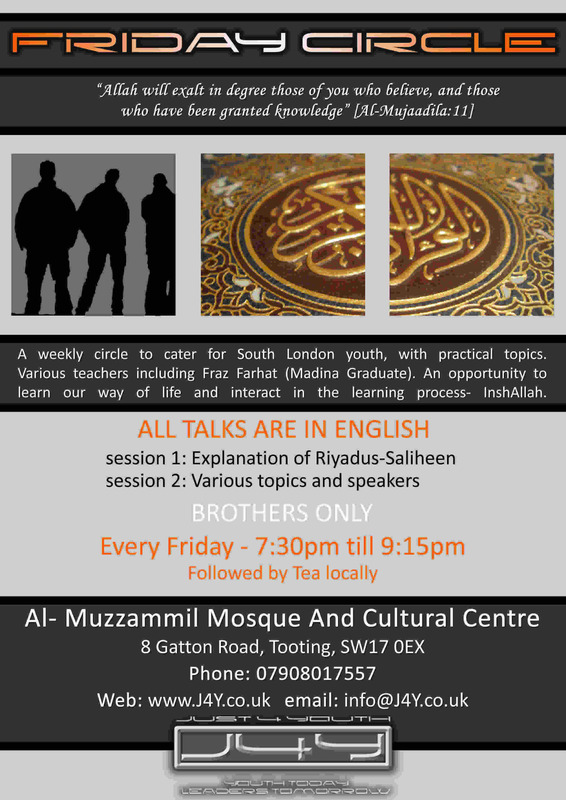 Various teachers including Ustadh Fraz Farhat (Madina Graduate). An opportunity to learn our way of life and interact in the learning process- InshAllah.